So you’re a computer vision researcher and you think, segmentation with a green background, feature tracking, structure from motion — how hard could creating visual effects be? 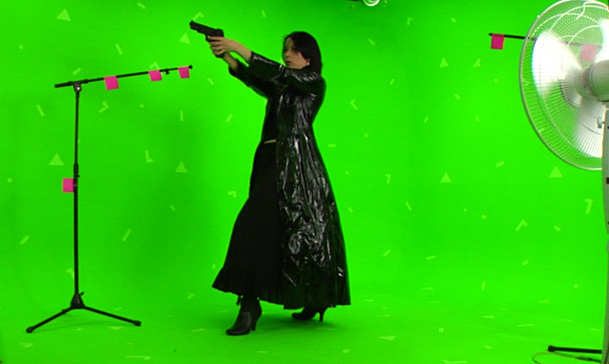 Try putting your money where your mouth is with these free HD greenscreen videos created by Hollywood Camera Work. The source videos illustrate tough matting problems involving wispy hair, transparent clothing, and motion blur, and well as matchmoving problems at various ranges with different numbers of artificial tracking markers. There’s also a page with free natural-environment tracking videos that provide good practice on feature detection/tracking and matchmoving. In addition to their intended use for helping VFX artists who are just starting out, these videos would also be a great resource for making homework problems in a course that uses my book. Found via Scott Squires’s great VFX blog.